The route to university for most Students at Bromsgrove actually begins in the third term of year 9 when they will each be interviewed individually by the Head of Careers. This is not to try to place them in any set or to try to make them make their minds up about a career at such an early stage but instead to inform them that, although they are young, the time for decision making is not too far away. There are always students who are already intent upon a certain career and they often welcome the chance to talk to someone other than their parents, siblings and friends and to ask relevant questions. 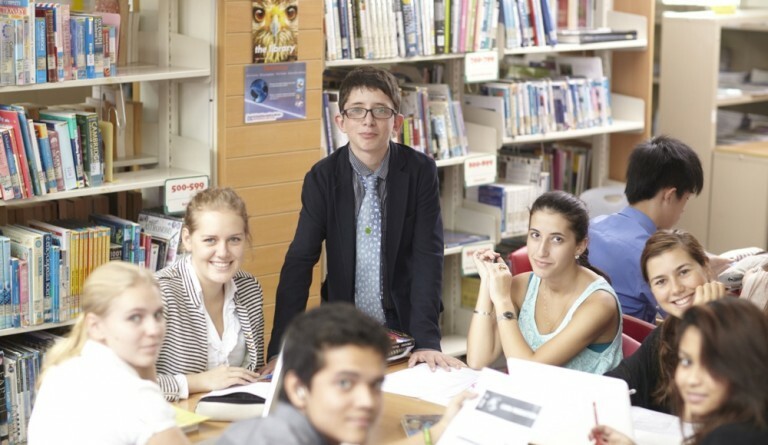 These sort of informal advisory sessions go on throughout a student’s IGCSE courses and are added to by the advice which is part of the curriculum in their weekly PHSCE classes. At the beginning of Year 12 each student is interviewed again, this time on a much more formal basis when the Head of Careers will ask the student what their intentions are for their further education. Although, once again, there is absolutely no pressure to assign a student to a particular course or indeed area of study the students are made aware of the fact that the last two years of their school lives are a very busy time indeed and will pass them by very quickly. They are advised to carry out research into any areas that interest them and begin to look for universities which they feel might fulfil their requirements. In the first term of every year, the Head of Careers receives a great many speculative e-mails from universities worldwide who wish to send their representatives to present their institution to the students. We must make sure that the students, whilst getting a good grounding into the world of university entrance do not, either attend too many university briefings from institutions that they have no intention of attending but still get a good overview of what is on offer both at home and abroad, as well as being made aware of any financial implications which attending these places may incur, something which they have not had to think too hard about up until this point in their life. Just after the winter break in Year 12 the students attend a chat with the Head of Careers. This is to introduce them to the methods of entrance that universities in different parts of the world use. For example in the United Kingdom all students have to go through the Universities and Colleges Admission Service (UCAS), in the United States it is the Common Application and in Australia one applies directly to the Institution involved. We also have an Administrative Assistant who deals with the Thai universities. For ease here is a guide to the UCAS process of application. Although many other systems are very similar, it is just the timings of the year that differ. Students join UCAS and begin filling in the online application. This involves filling in all personal data and examination results to date. There is also a slot for filling in the examinations to be taken later in Year 13, the predicted grades for these will be completed by the Head of Careers after close consultation with the student’s teachers. The student also needs to write out a personal statement : a very important piece of prose. It is how the prospective students sell themselves to the admissions tutor at their chosen university. In it they must make an attempt to show why they have chosen the subject that they have whilst also introducing themselves. The personal statement should be no more than 4000 characters; this fact normally causes fainting fits amongst the students until they write theirs and find that they have to edit it mercilessly. The last part of the process is carried out by the student’s referee. The referee is normally one of the student’s subject teachers, form tutor or Head of Sixth Form. The job of the referee is to gather as much information as they can about a candidate, not just academic but pastoral, sporting and personal and put all of the information together to paint a picture of that candidate in their best light, to recommend why they feel that this candidate is suited for a position at whichever university. If students are applying for Medicine, Veterinary Science or for Oxford and Cambridge their applications have to be delivered to UCAS by October the 15th. This is not a very long lead in time when one considers that they also have to study their chosen subjects at the same time. Most of these students will hear in late November if they have been selected for an interview at their chosen institution. All other applications other than those requiring a portfolio of work (Art, Art and Design etc) must be at UCAS by the 15th of January. Whilst UCAS do not rule out including late applications they do not guarantee that they will get quite the same attention as those which were handed in on or before the deadline. Obviously they make exceptions where there are extenuating circumstances. An unconditional offer means that the student has met all the academic requirements and the university or college is happy to accept them. This means that the university has decided not to offer you a place at this time. After a student receives an offer from a university is important that they reply. Some students may be lucky enough to be offered a place at all five of their choices, however obviously they can only take up one offer so when they turn down to the other four it means that those places become available to other students. When examination results are confirmed then places at University can be also. If a student does not quite attain the grades that they needed for their first choice UCAS has a system called clearing whereby all spare places at universities are sent back to UCAS and a system is put in place to help those who do not get their first choice are assisted in finding a place to study what they want elsewhere. When broken up as it is above, the system seems very clinical but here at Bromsgrove we endeavour to give every student all of the assistance that they require. In the first two terms of each year the Head of Careers has a “drop in” clinic, supposedly on two evenings a week but actually every time anyone has a question regarding university courses, entrance or careers. We have a well trained teaching staff with a wealth of knowledge and experience of different academic and university systems worldwide. We invite speakers from as many institutions as we can whilst not upsetting the students education and are always open to suggestions. If you have any questions regarding Careers or University matters please do not hesitate to contact the Head of Careers.